Home→Articles→New in town: Moringa Rice Cakes of Bakali! 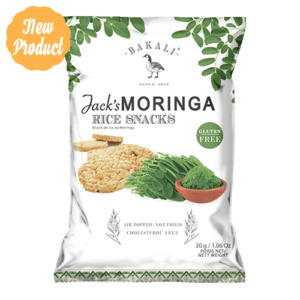 New in town: Moringa Rice Cakes of Bakali! Check our new Rice cakes sprinkled with Moringa powder. Moringa Oleifera, Moringa Oleifera is a tree that grows in subtropical climates; is known for its huge health benefits and that did not go unnoticed at Bakali. 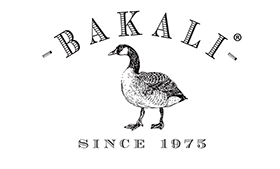 At Bakali we use the green leaves of the not yet fully grown tree. Researchers have found that these leaves contain above average Vitamin C, Calcium, Iron and other elements. An excellent anti-inflammatory. Moringais packed with nutrients and antioxidants which can fight harmful attacks on your body on daily basis. Moringa is helpful in treating acute inflammatory conditions due to its powerful anti-inflammatory properties. It reduces some symptoms of diabetes. Suffering from diabetes means that the body does not produce enough insulin to break down glucose into energy. A build-up of this glucose can lead to further complications like high blood pressure. The Moringaleaf can lower blood pressure and boost your immune system. For people with diabetes these benefits could be significant due to their increased risk for heart disease. Moringa contains a lot of Iron and Zinc, Iron is essential for normal neurological function which helps your brain to function more efficiently and cope with stressful events. Because it is a natural product your body will take in the nutrients better as for example various forms of synthetic commercial iron pills. Your liver loves it! Our liver is essentially a detox filter. It filters everything that enters our body in order eliminate the harmful substances. Moringareduces liver damage by restoring liver enzymes.